Cloud, cloud, cloud. Everyone is talking about the cloud these days. But not everyone has the opportunity to use a public cloud service (regulatory+company policies). In this blog post, we will explain the concepts of installing and configuring a private cloud infrastructure using open source software. We will give you an overview of our lab setup and the capabilities that are offered by using OpenNebula infrastructure. Many companies do not want to use public clouds like AWS, Microsoft Azure or Google Cloud. They want to use the hardware in their own data centers and leverage them cloud-like. The most notable project here is OpenStack which is big and complex. As a great alternative, we suggest using OpenNebula. OpenNebula provides the most simple but feature-rich and flexible solution for the comprehensive management of virtualized data centers to enable private, public and hybrid IaaS clouds. With its key features (Data Center Virtualization Management + Cloud Management) OpenNebula enables the user to setup a multi-tenancy environment with simple cloud GUI interface, service elasticity/provisioning, capacity and virtual appliance management, resource optimization and High availability. Did we mention that it is licensed under the Apache license and that is an “Open source software” :) In this blog post, we will focus on setting up the hardware environment as well as the software installation and management of an OpenNebula cluster. We have decided to create a physical topology at the start of the project to better understand and configure the logical topology. The 2 NUCs are connected to the switch via ethernet cabling. Furthermore, one NUC which hosts a VM of Router Appliance OPNsense is exclusively using the USB Ethernet Adapter, so it can configure VLANs on it. We will not go into detail of setting up the NETGEAR switch since it’s proprietary hardware and it can be different from setup to setup (someone else would prefer Cisco or Microtik or some kind of 3rd option). The choice is up to you how you will segment the network (depends on your needs). The software setup part is the fun part of the project :D. As a base OS, we used CentOS 7. Don’t forget to disable SELinux after OS installation since it could cause problems with the OpenNebula software. 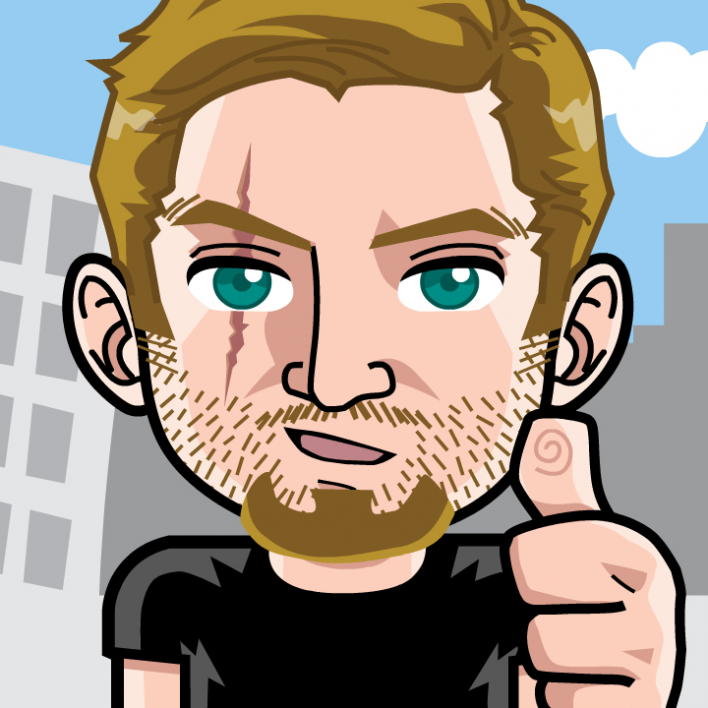 After that, we made an initial configuration of the OS (ssh access, network, hostname). Since OpenNebula is a well-documented project, we will not go into detail of the base setup. The base setup is well explained and available in the documentation. The main focus in this process is to properly install and configure the Front-end (Sunstone) and the OpenNebula Nodes. Follow the steps in the documentation and be sure that everything is in working order before you proceed to the next step. It is of the utmost importance to have a complete overview of the network setup (on your local firewall appliance, router and OS level with firewalld/iptables) because this is the tricky part, especially when using VLAN’s and security groups. It is easy to get confused ant to make a wrong entry. It also get’s more troublesome if you use a virtual router as we did. In that kind of setup where you dedicate a physical ethernet device to a virtual machine, network troubleshooting can be slow and painful. After the initial installation, you shouldn’t forget to test your CLI command and check that OpenNebula is up & running. 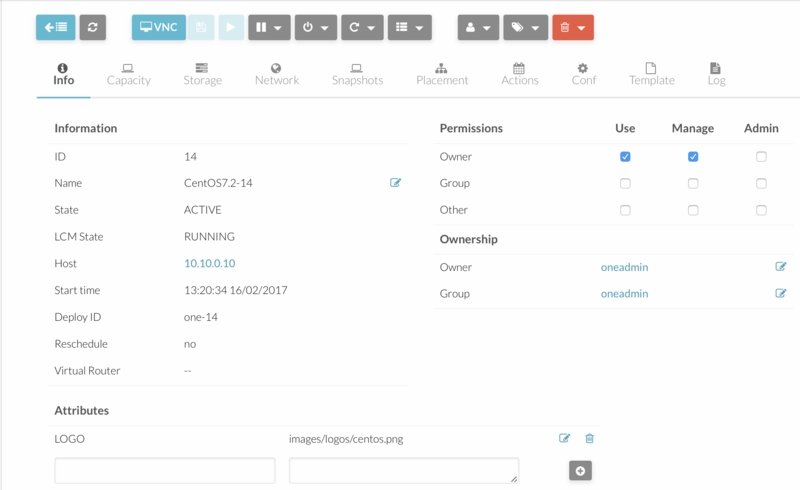 Also, a very important part of the OpenNebula setup is the configuration and usage of ssh keys for the oneadmin user (it is used to connect from the frontend to the OpenNebula nodes). This is a crucial part; if you don’t configure this part correctly, OpenNebula front-end will not have the capability to provision and manage the nodes. When prompted for password press enter so the private key is not encrypted. Append the public key to ~/.ssh/authorized_keys to let oneadmin user log without the need to type a password. After you install the OpenNebula packages in the front-end a special dir structure will be created. OPNSense is a free easy to use FreeBSD based firewall and routing platform. Since we did not have a physical router that we could configure we used a software router. Network routing is done by the OPNsense router. OPNsense can be installed on all virtual machines that support FreeBSD (such as KVM, Bhyve, VirtualBox). For that reason, one NUC has two physical network interfaces. One of these interfaces is exclusively used by the Router Appliance. Since the router is running on a virtual machine one NUC, the VM is supplied with the bridge, which is configured on the hypervisor node. So for that to work we have to configure the network bridge on the NUC. CentOS 7 comes with bridging module loaded on system boot by default, verify it by using below command. Now we have to edit the network configuration of the existing adapter to point it to the bridge interface. Open the corresponding file in your /etc/sysconfig/network-scripts/ folder. For our example we use these 2 files: ifcfg-enp0s25 & ifcfg-enp0s20u4. You can name your network interfaces the way you prefer just remember to edit the names and UUID’s in the configuration accordingly. If you are trying to install and configure OPNsense router you need to have console access to the VM since the config menu is accessed in the boot sequence. After the setup, we configured the appropriate VLAN’s and networks on the router. Due to this setup, the OPNSense VM is eligible to configure VLANs which are allowed by the switch. Remember: everything that you set up on the switch (for example VLANs, has to be configured on both the vRouter and the OPNsense router. If you want to learn more about OPNsense, feel free to investigate the documentation. 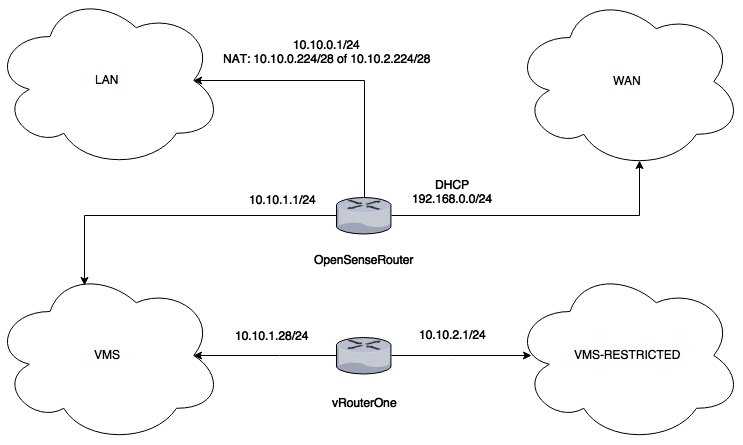 We have set up our virtual environment so that the hosts are in one VLAN and the VM’s in a separate VLAN. 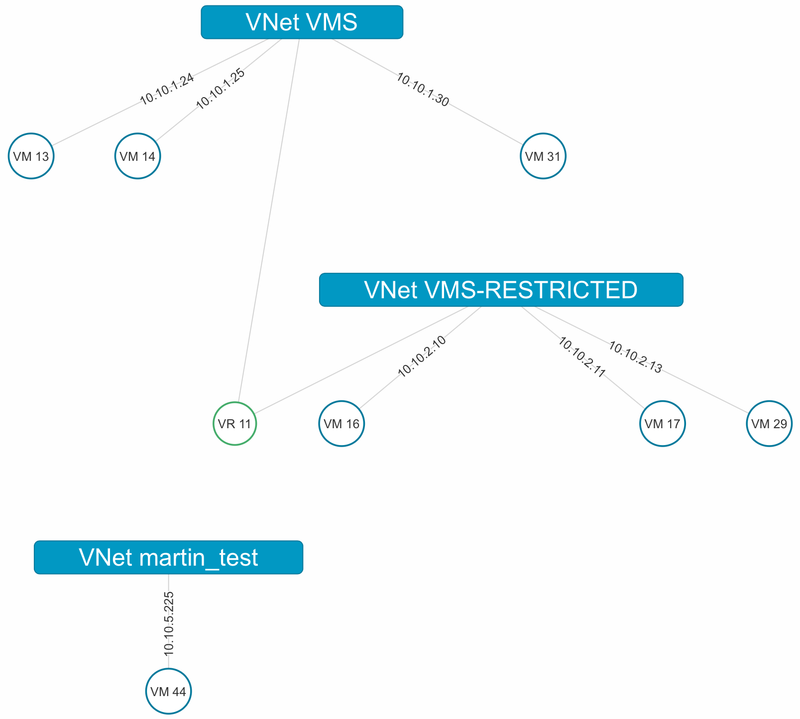 OpenNebula has a nice option that visualizes the current network config through reading the vRouter configuration. Notice how the vRouter automatically generates the view for easy visualization. 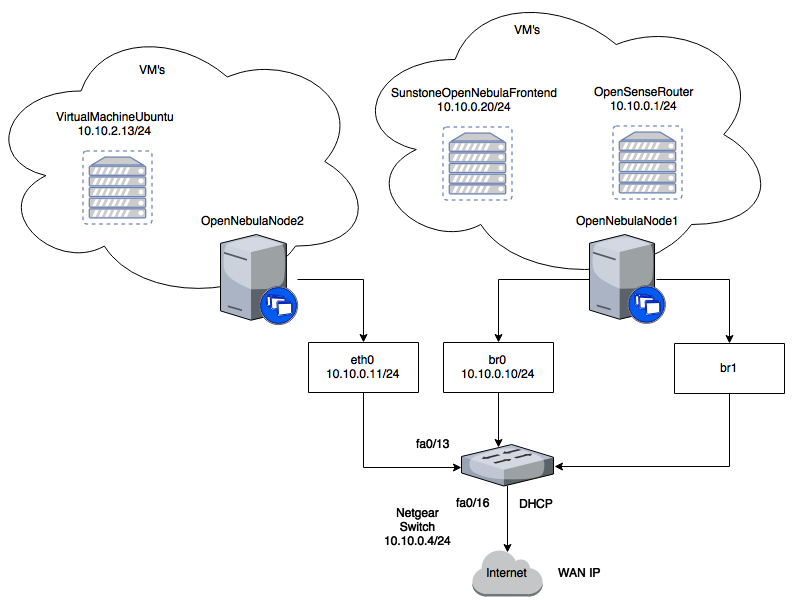 As you can see in the diagram, the OPNsense router connects the LAN, WAN and VMS networks while the vRouter connects the VMS and VMS-RESTRICTED networks. First thing first. We need images. 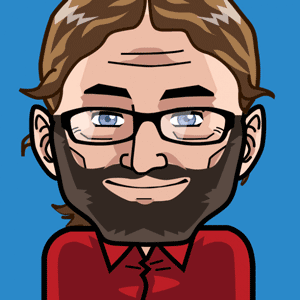 (breites Grinsen) After you upload your image files to the proper Datastore, you can start playing around with creating templates based on those very images. We have created several test templates for our lab setup. Template creation is easiest done through the GUI. If you missed something, you can edit the template at any time through the GUI or CLI. 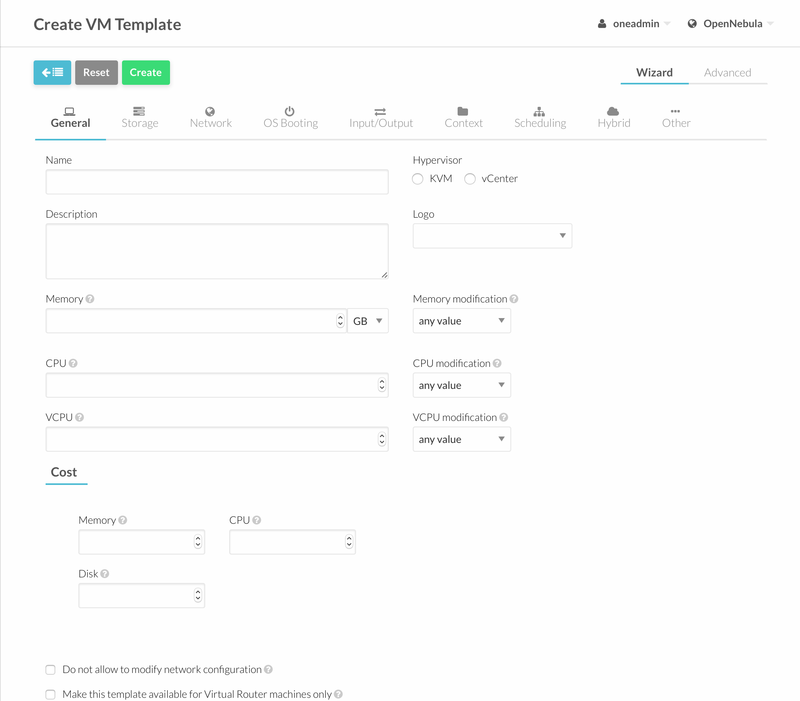 You can also create custom template configuration files and upload them directly into the GUI or through CLI. As shown in the blog post, we have created a simple private cloud infrastructure that we can leverage to our specific needs. With OpenNebula we can build a simple and robust infrastructure that is focused on users needs and not on vendor specifics. Upon basic setup, user’s can already benefit from the installation because OpenNebula enables the user to be self-sustained and not to depend on System administrator or vendor to create and manage they’re VM’s. It is easily scalable and it can be installed on top of most hardware. It is the ideal choice for people who do have the hardware resources to go cloud but are only limited to private cloud for any type of reason. It is flexible and robust and easy to manage. It is the ideal piece of software for user-driven needs. If it is necessary, you can extend your cloud infrastructure even on to existing cloud providers since OpenNebula provides that capability. Have you heard about our Cloud User Group Munich at meetup.com? Join our community and stay informed about the various topics and news.